“Rogue One: A Star Wars Story” star Donnie Yen explains why the franchise can’t do big box office in China. Yen, who is a huge star in China, has similar thoughts to what analysts believe is the reason why “Star Wars” box office falls flat in the Middle Kingdom. Disney can never seem to get any of its “Star Wars” movies to do well in China, and an actor from one of its movies knows why. 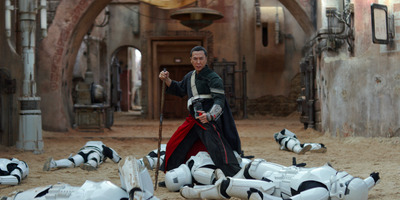 In a recent interview with JoBlo, Hong Kong action star Donnie Yen, who played Chirrut Îmwe in “Rogue One: A Star Wars Story,” gave his take on why it seems that the Middle Kingdom is the only region in the world that doesn’t have “Star Wars” fever, and it matches with what some analysts have posited. “Rogue One” earned $US1 billion worldwide at the box office, but in China, the second-largest movie market behind the US, the movie only took in $US69.4 million in its five-week run. Disney/Lucasfilm‘Solo: A Star Wars Story’ only earned $US16.4 million in China. But at least that movie had a name in the cast recognisable to audiences in China. “Star Wars: The Last Jedi” did even worse in China. Its five-week run there only took in $US42.5 million. However, that movie went on to earn over $US1.3 billion worldwide. 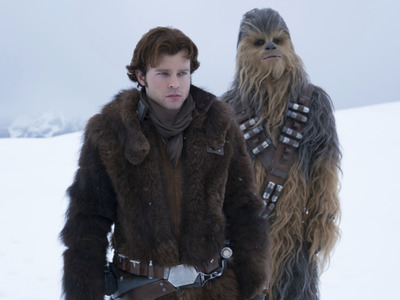 And forget about “Solo.” The standalone Han Solo movie, which made a flat (for “Star Wars” standards) $US390.1 million worldwide, only made $US16.4 million in China and was pulled after four weeks. Yen’s thoughts mirror what analysts have been telling us for the last year. But Disney doesn’t have that problem with its Marvel properties. “Avengers: Infinity War” earned over $US359.5 million in China to go on and make $US2 billion worldwide.